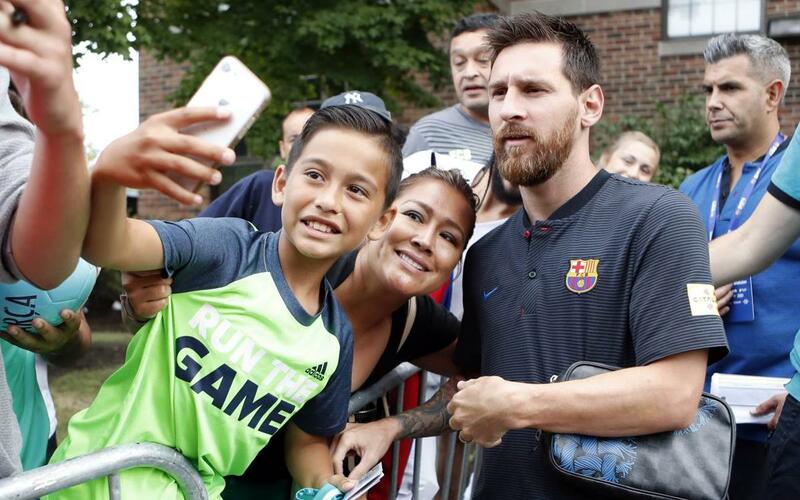 Following the success of last year's preseason tour, the USA was an obvious choice of destination for FC Barcelona this summer. On the schedule this time around are the cities of Portland, Los Angeles and Dallas, as Ernesto Valverde's men take part in the International Champions Cup against Tottenham, AS Roma and AC Milan. It's the ideal moment, then, to look back at the 2017 tour, which took in New York, Washington and Miami and featured games against Juventus, Manchester United and Real Madrid. The latter game was only the second time an edition of 'El Clásico' had been held outside of Spain, and the first time since 1982. A special video recaps last year's trip, including moments such as the unveiling of the enormous Blaugrana mosaic in Bryant Park, behind-the-scenes footage from the team hotels and encounters with some NBA stars. It's the film of the 2017 U.S. Tour, and there's more to come this summer!